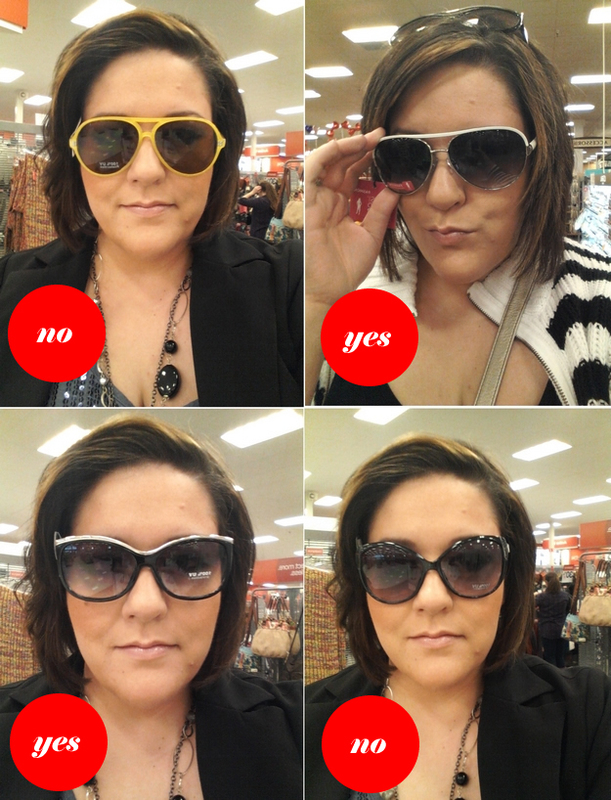 I've been tempted a LOT lately by all the cute sunglasses in the stores! I'm a sucker for cute glasses under $20. Honestly, I'm so hard on my sunnies that there is NO reason to pay more. Here are some I've tried on and purchased this week! Current trend obsession - The accent line on the top of the glasses!! Always take a picture! Never trust just the mirror because the color will look different.